Just how effective is in-game advertising? Based on a study that followed Gatorade buying trends: extremely effective. In-game advertising has been one of those constantly controversial subjects within the videogame industry. On one hand, it's an easy source of cash for developers and publishers. On the other, gamers tend to resent the fact that something they've just paid $60 for is trying to push more stuff on them. However, something that hasn't been obvious is exactly how effective the system is; now, the first official study on the subject is out, and it sounds like in-game ads are pretty good at getting people to buy things. Electronic Arts has put a lot of in-game advertising into its various sports titles, so the study by The Neilsen Company focused on how effective they were at promoting Gatorade (a common ad property between different sports). Based on the results, households' spending on Gatorade increased by 24%. While that may not sound like a huge increase, it's actually quite substantial. The study focused on households that purchased at least one of six EA Sports titles: NH 09, NHL 10, NBA LIVE 07, NBA LIVE 08, NBA LIVE 09 and NBA Street Homecourt. 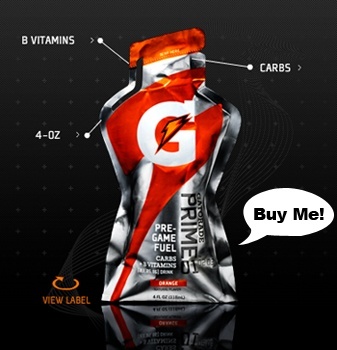 Gatorade had a variety of product placements within the games including arena signs, players' water bottles, score updates and other call outs. So why should you care about this? Well, it's a safe bet that this information is going to be used as an example of how effective games can be when it comes to marketing other products to players. That means that there will probably be more ads appearing in videogames down the line, which is something that I've never been terribly fond of.